These tips are great. Some of these will save you lots of time and money. Cleaning your home can often be a bore, not to mention the price you have to pay for the good quality cleaning products. Did you know there are many ways you can cut costs and avoid paying the high prices for all of those chemicals? It's easy when you know how. Check out this collection of tips and tricks so you can start saving today! You'll also find that many of them are super quick and surprisingly easy. 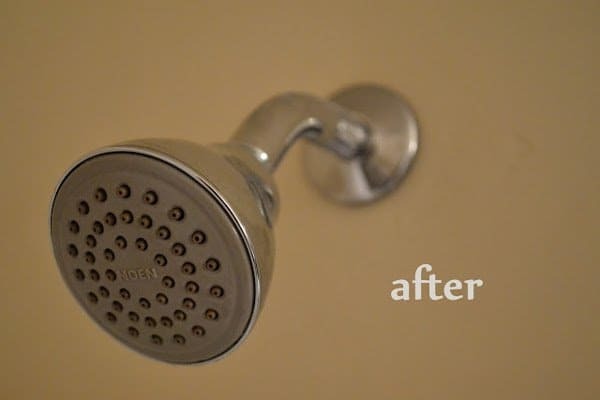 Most of the cleaning hacks use natural products you probably already have many of them in your home so you can get started right away. 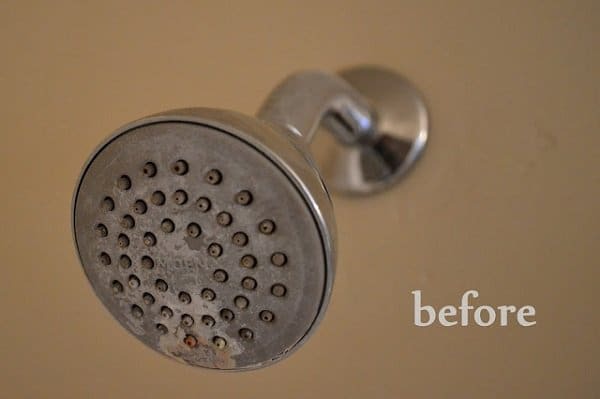 The shower head hack saves so much time and hassle! Spread neat bicarbonate of soda directly over grout, cover with vinegar and then wait a few moments. 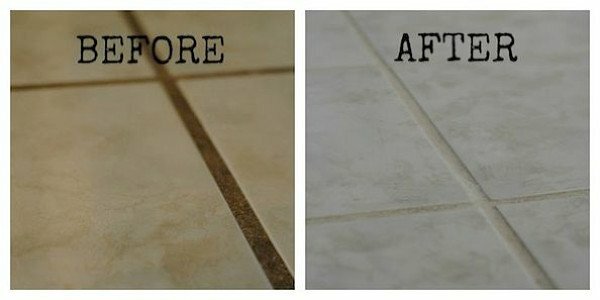 Scrub the mixture off with a brush for perfectly clean grout every time! 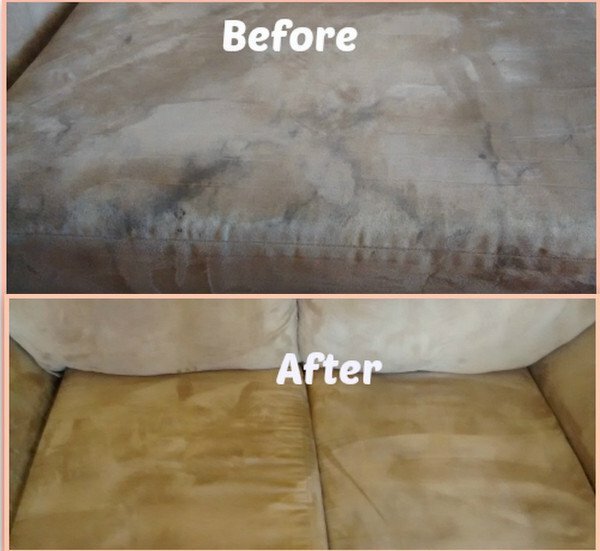 Microfiber couches are easy to clean with rubbing alcohol, steel wool and a soft brush. Instructions here. 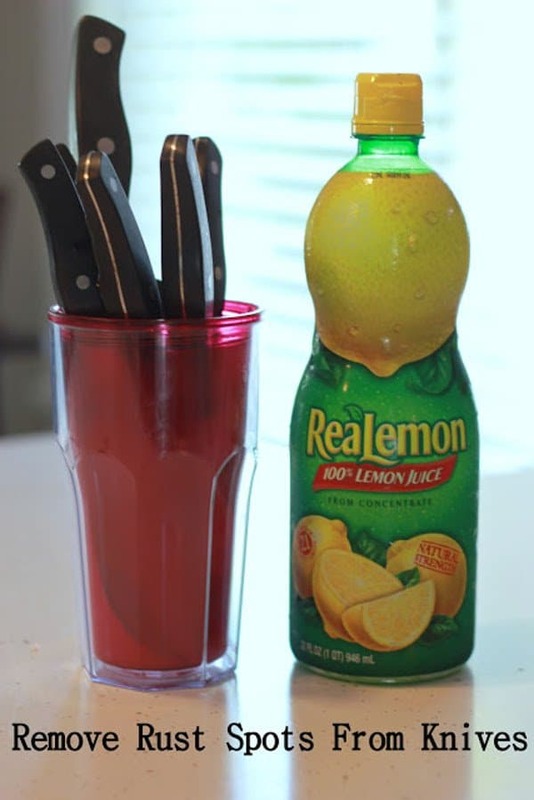 Soak a rust-spotted knife in lemon juice for a while then scrub it clean until it shines. 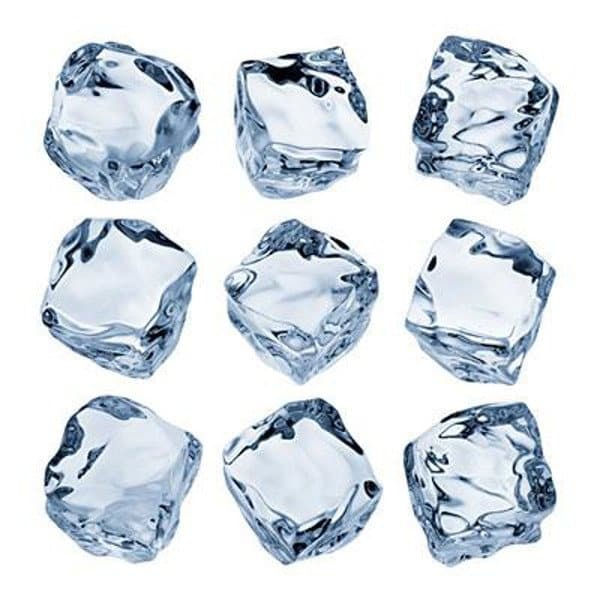 Toss a handful of ice cubes into your garbage disposal, turn it on and run the cold water.Do this every few weeks for a great way to break up grease. Adding a few pieces of citrus fruit peel will get rid of odors, too. 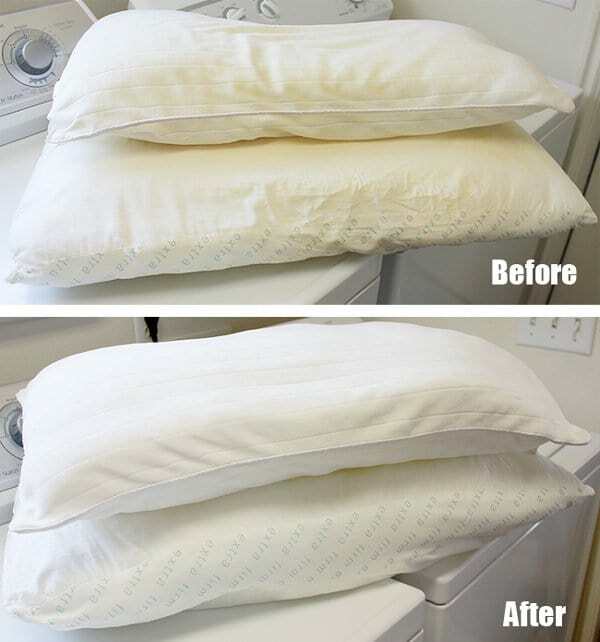 Get rid of unsightly sweat stains on pillows by using a mix of laundry detergent, bleach, borax and dishwasher detergent. Instructions here. 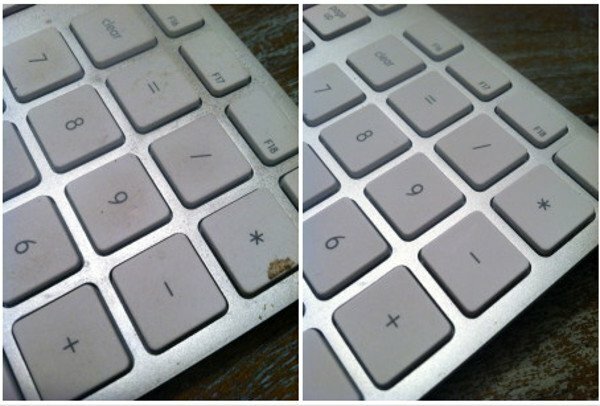 Use a magic eraser and an air duster to remove leftover debris from your keyboard. If you don't have an air duster and magic eraser handy then a soft cloth and minimal water works well to clean your screen. Use slightly dampened cotton swabs to clean in between the keys on the keyboard. 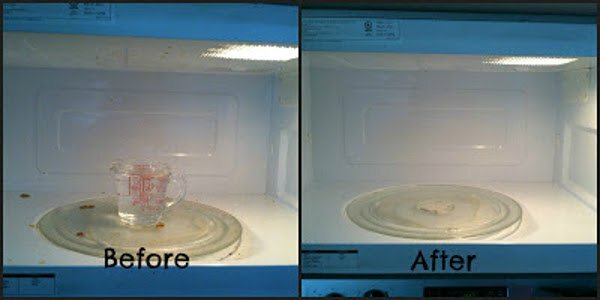 Boil a cup of vinegar in your microwave. Remove, then wipe clean with a damp cloth. The grease and food stains will come off quickly and easily. Simple! Dryer sheets remove buildup on glass surfaces. 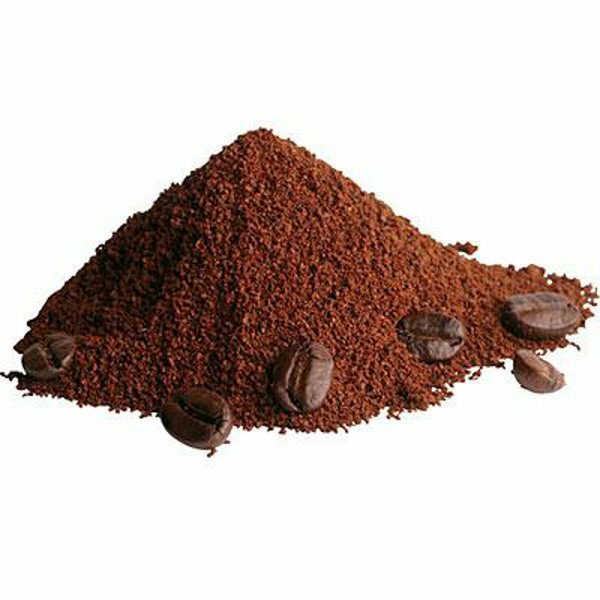 Place new or used coffee grounds in a bowl on a fridge shelf to get rid of lingering odors. It's so annoying when your brush looks like a yeti has been using it. Thankfully, cutting the matted hair off lengthways with scissors really works. 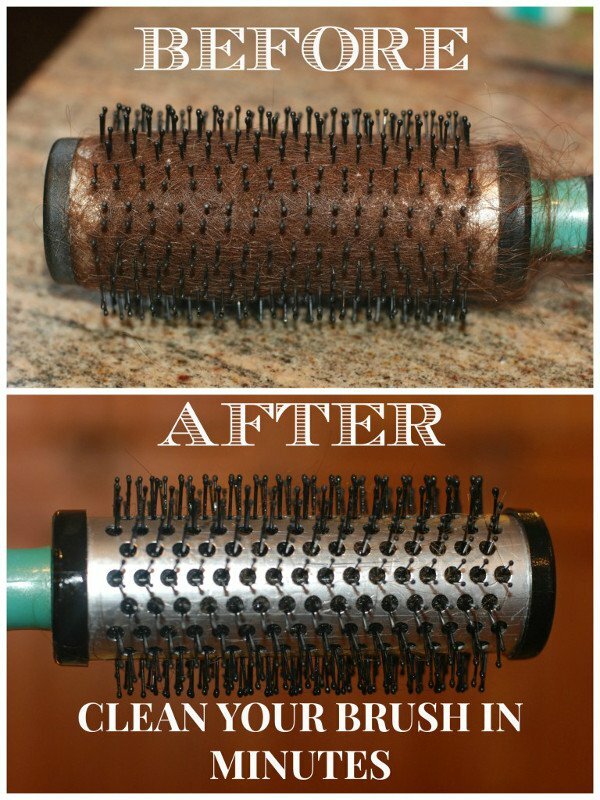 To catch those little hairs which are left behind, put your brush into the sink with some water and shampoo, scrub with a toothbrush and rinse. Easy as that! 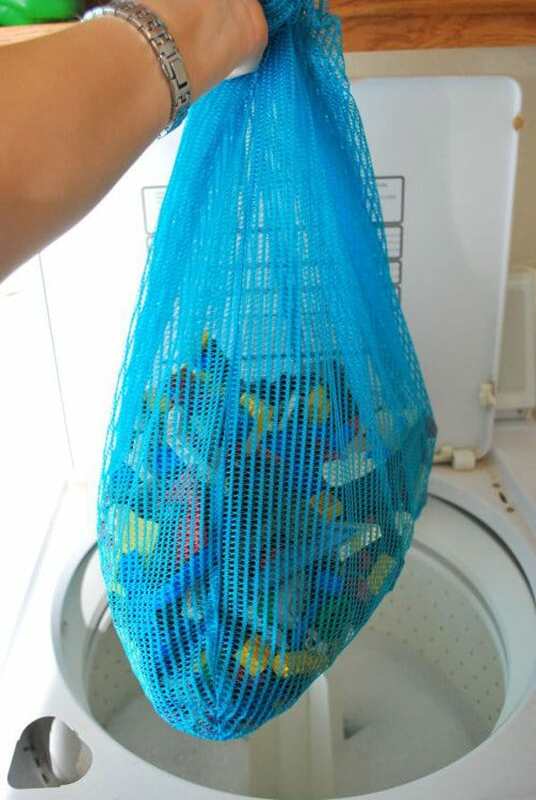 Wash kids toys in a bag in the machine to save time on cleaning them one by one! 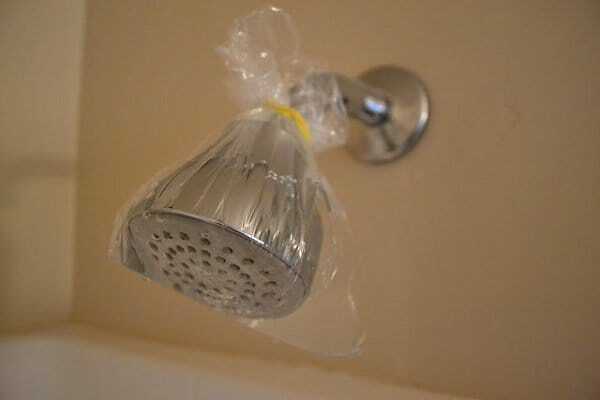 Put some vinegar in a clear bag and tie it around your shower head. Leave it for an hour before wiping clean and it will look as good as new! 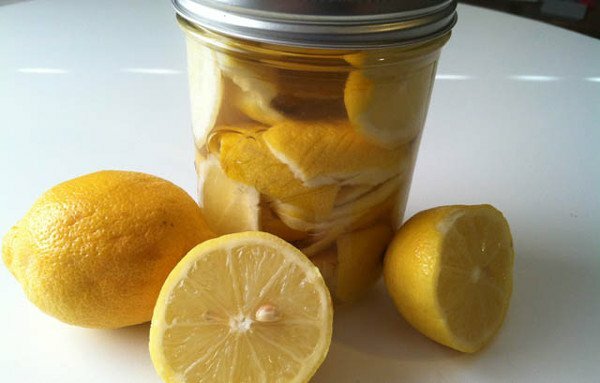 Leave some citrus peels in a jar of white vinegar for up to two weeks. When strained, this will work as an excellent window cleaning solution, disinfectant and floor cleaner!